It’s no huge surprise that the State Government has announced incumbent operators MTM and KDR will continue to operate Metro Trains and Yarra Trams respectively. The current contracts started in 2009, and expire in late-2017. These new contracts will run through to 2024, with an option for another 3 years to 2027. Despite an RTBU campaign, clearly the state government didn’t want to take the system back into public ownership. The new contracts resolve several weaknesses in the old contracts, including unplanned service alterations such as station skipping, Loop bypasses, short shunting, with penalties applying for these. It’s important to remember that these are sometimes justified. For instance if a counter-peak train carrying few passengers is delayed, and that train will subsequently form a peak hour service, is it better to let it run late for both of those services, or to skip some stations (with due advice to any passengers affected) to get it back on time to carry a peak load? There will be a ban on intrusive advertising will ban all-over ads that block windows, making it difficult to see in or out. It sounds like some limited covering of windows will still be allowed, so we’ll have to see the fine detail of this, and how the operators and their advertisers actually implement it — it’s not like most tram and train exteriors don’t offer a lot of other real estate. There will be an automatic refund for network-wide incidents such as the July train shutdown — though again, the precise details will be significant. In July, some people who were turned away from railway stations by staff and didn’t touch-on were therefore not eligible for compensation. And there are “passenger experience” measures with penalties attached, tracking things like cleanliness. One particularly interesting snippet: apparently Metro will put buses on standby at five strategic locations, in readiness for major disruptions. I’m assuming that would just be during peak hour when it’s difficult to get buses deployed. I wonder how many rail operators do this — though I also wonder how many rail systems this busy have 150+ level crossings regularly causing disruptions due to suicides or accidents. Presumably the planned Comeng train refurbishment includes these previously flagged changes to interior layouts and seating, and inter-carriage connections. It’s unclear what the planned upgrades to B-class trams, and other train types will entail — note the X’traps and Siemens refurbs are getting a lot more money than the Comengs. The performance targets are rising. What’s perhaps significant is that the targets are above the figures achieved by the operators for much of the past year, so they’ve set themselves a challenge to improve. MTM has missed the new train Delivery target twice (including July, when the big shut down occurred) and missed the Punctuality target 9 times. KDR has missed the new tram Delivery target three times (March, April and May 2017), and missed the Punctuality target 6 times. Unfortunately, compensation will still not be automatic, except for network-wide disruptions. For monthly breaches of the target, it’ll still only apply for Myki Passholders who bother to put in the application. And unlike some compensation in the past, it will still only apply if the network-wide average falls below the threshold, so if your line is crap but the rest are okay, no compo for you. The increased spend on proactive maintenance and renewal is also likely to be important, to help prevent issues such as track, signal and fleet faults that regularly cause cancellations and delays. Some things don’t appear to have made the cut this time around — I would like to have seen a move towards headway running (maintaining a service frequency, rather than strict departure times) when high frequency services are running — more on this in an upcoming blog post. And in the information published yesterday, there’s been no mention yet of planned service upgrades (such as PTV’s plans for 10-minute services), timetable consolidation (eg PM peak on the Ringwood line is still a mess of different stopping patterns), infrastructure projects to be included, or the move towards “metronisation” that was flagged in the 2009 contracts. Hopefully the full contracts will be published soon. From what we’ve seen so far, it looks like a step forward. Now let’s see if it all results in an improvement in service quality. ← Previous Previous post: Trains and trams in Brussels and Belgium… any lessons for Melbourne? Next → Next post: If services are frequent enough, should timetables be more flexible? If the intention is merely to refund the precise Myki fare the passenger paid during the period of the meltdown, then you’re right. Passengers who never touched on didn’t pay any fare, so there’s nothing to refund. Too bad if they paid a whopping taxi fare instead. But if PTV’s intention is to give people at least SOME monetary compensation for the inconvenience, over and above the Myki fare, to put towards their taxi/Uber fare or to help make up for their time or shoe leather or whatever, then the problem is fairly easily overcome. PTV would just need to issue the following advice: touch on at a station, then touch off again so it registers as a change of mind during the period of service failure. Even if you never actually get as far as getting on a train because there aren’t any, touch on and touch off anyway, so that your attempt to take a trip is registered. PTV will then know exactly who attempted to travel during the meltdown, and even if no fare was deducted because it registered as a change of mind, PTV will then be in a position to offer some form of compensation, if it chooses to do so. Sure, there will be some people who take advantage of it by hotfooting to their nearest station and registering for a trip they never intended to take, but hey, I have better things to do than spend time walking to my nearest station and touching on and off in the hope of getting a few dollars I’m not entitled to. I’ve never understood why this is still the case. The compensation rules seem to date from the old paper ticket & Metcard days. Since the introduction of Myki, PTV now has enough granularity of data to know precisely who was affected and how badly – IF they cared enough to do anything with it. There is nothing to stop them compensating regular travellers on certain poorly-performing lines, if they wanted to. There’s also nothing to stop them automatically compensating Myki Pass holders, if they wanted to. They could do more. We need to demand more. At the moment we’re getting the system we’re prepared to put up with. I rather like the idea that our train systems are run for the greater good, rather private company profits. However, the greater good will mean service alterations at the last minute. It is annoying if you and perhaps thirty people are tossed off a tram short of its ultimate destination, but this can make the service for the rest of the day better for thousands of people. It is public transport, not private transport and I suggest to people who complain vociferously that they should always be be delivered by public transport to their ultimate destination, perhaps taxis and Uber might suit you better, notwithstanding, the pressure should always be on these private operators to do things better. Unfortunately, the motivation for these companies is profit, not service. If they make profit from good service, then I have no problem with that. 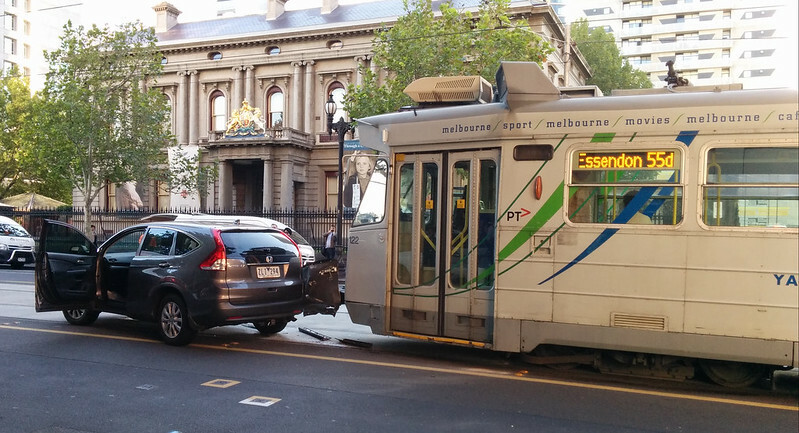 As you say, sometimes actions like short-shunting of trams are justified. For example, if there’s been a hold-up, why should a bunch of, say, 3 trams run all the way to the end of the line (as seemed to happen on route 16 the other day), when the passengers can be accommodated on one tram and the other trams short-shunted to restore the service in the other direction? Obviously, however, it’s quite different if there’s only a single tram (perhaps where a delay has occurred late in the evening). But how do subtleties like this get incorporated into contractual documentation? On the issue of stand-by buses, well that really is planning for failure, isn’t it? But related to this, it would be interesting to know how many stand-by trams and trains (and, importantly, crew) there are. I’ve heard that they are there, presumably sitting in depots which means they’re not apparent to mere mortals – and not necessarily well-placed to swing into action when issues arise. I was hoping the new contracts would include some differentiated performance targets, reflecting the greater passenger impact of delays, cancellations and service alterations during times of heavy demand. But it seems the performance targets are still averages across all services, all routes, all day. So an altered service during morning peak inbound affecting 1000+ passengers is treated the same as one in the opposite direction affecting 10x fewer people. I’d like to see the details – do you think they’ll be released? I am really surprised that MTM has not taken a more aggressive position with regards to TOD development like in Hong Kong. I remember that being one of the attractions for bringing in MTM. What happened? I would also like to see the contracts move from a pay-per-passenger basis to a pay-per-service basis. The operator has very little control over passenger demand, much of this is controlled by PTV. @Karen, one way of providing compo for network-wide events is to look at travel patterns in the same week from the Myki data. For instance you could assume people who travelled 2+ days in the same week at the affected time should get compensation because it’s likely they were travelling then as well. Or you could assume that if someone travelled in the morning, and the disruption was in the afternoon (or vice versa), then they should get compensation. Per-line compensation was offered on Bayside Trains lines (eg via South Yarra and North Melbourne) when they were the operator from 1999 to 2003. @Michael Bell, we don’t yet have the detail (and normal govt practice *is* to publish) but in the old contracts, the monthly penalty paid by the operators to the government is based on different metrics than the public measures that trigger compensation. The compensation measure is based just on service cancellations/delays, but the other measure uses “Passenger-Weighted Minutes” to quantify delays and cancellations, such that a crowded peak hour service delayed is worth more than a quiet off-peak service. The article does say Melbourne is MTR’s most profitable rail project outside HK. It also notes the Melbourne network is much bigger than in HK, but much less busy. With the sky rail, I read that it is designed to have 4 tracks in the future. Does that mean 2 elevated tracks and 2 tracks below ground? Or 4 elevated tracks? Because they probably can not have 2 tracks at ground level any more – the whole point of sky rail is to abolish level crossings. Jacob, they would be about all four being elevated. Pitty we did not do what Kennet did. He required the franchise operators to extend the network or buy new rolling stock as part of their franchise fees/rights. Could we have gotten electric trains to Baxter and/or Whyndam Vale up and going in the next four years, along with trams to Knox City? Myki data means that they have plenty of information to offer quite granular compensation on service quality – but obviously the will to do it is not there. Why should Myki pass holders (rather than regular Myki money users) be the only ones to be offered compensation? On short-shunting of trams, I remember when they first introduced driver-only (and drivers were selling tickets) that they had a tram at the terminus that left at the timetabled time, met the late-running service and the two drivers changed trams – city service running to schedule and there’s a tram at the terminus to leave on time if the next one is late to arrive.